Leading Manufacturer of hexagonal type busbar supports, hexagonal supports and hexagonal busbar supports from Bengaluru. Enriched with vast industry experience, we have been committed to manufacture, supply, trade and export an extensive range of Hexagonal Type Busbar Supports. 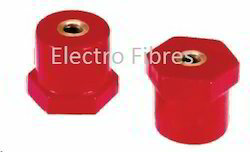 In order to satisfy the needs of clients, these supports are manufactured using premium quality raw materials. 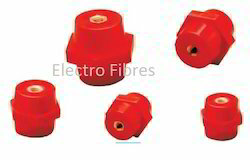 Available in different sizes and shapes, these supports are highly demanded globally. Taken quality as a prime concern, we have been committed to manufacture, supply, trade and export a comprehensive range of Hexagonal Supports. To meet international quality standards, these supports are manufactured employing advanced technology and other equipment. A team of quality controllers duly checks these supports on various parameters like seamless finishing and designing consistency. Being an authentic manufacturer, supplier, trader and exporter of Hexagonal Busbar Supports, we have marked a noticeable position in the industry. These supports are offered in different sizes and specifications in order to suit the variegated demands of clients. Our range of supports is widely used for electrical and engineering applications. 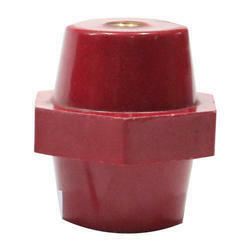 Looking for Hexagonal Insulators ?